Peter Cooper spent the last Saturday of his life discussing new ideas with the faculty of the school that bore his name. Three days later, at the age of 92, he died. He was one of the richest men in the country and one of the most beloved, a rare combination, then or now. Flags flew at half staff and mourners lined the streets along the funeral route to All Soul's Unitarian Church on 20th Street. The headline of the long obituary published in the New York Times read, “A Great Philanthropist at Rest.” Indeed, very few Americans have ever expended so much of their time, their energy and their wealth in the cause of helping their fellow citizens as well as those Cooper called, “the mass of struggling humanity” around the world. Peter Cooper's father, who served as lieutenant in George Washington's army, named his son after Peter the Apostle because he believed that the boy, “would come to something.” As a young man he received virtually no formal schooling, but he had a gift for commerce, an unending curiosity and a knack for invention. He started his first venture, a cloth shearing business, during the War of 1812. He made fortunes in real estate, iron and steel, railroads and telecommunication, glue and jello. But he was never just a money man. He put together the “Tom Thumb” locomotive (the patent was signed by John Quincy Adams),devised a new system for efficiently towing canal boats, developed the iron beams that enabled the construction of the first fire proof buildings, forerunners of New York' skyscrapers, and was an early pioneer of aviation who came close to killing himself in a dirigible experiment. 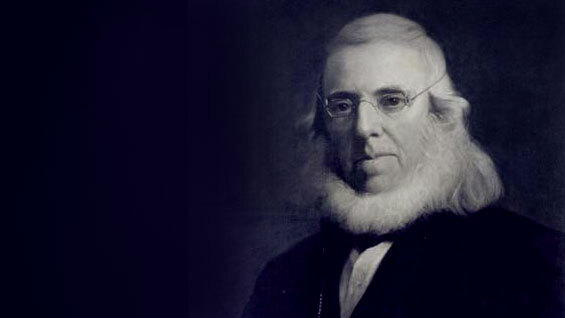 He owned half the telegraph lines in North America and he was a key investor and driving force behind the laying of the first Atlantic cable from North America to Europe. Nearing sixty, Peter Cooper was one of the richest and most celebrated men in the United States. Unlike many of his contemporaries, he lived simply. His passion was philanthropy in its most literal sense; he wanted to share his good fortune by helping others to develop their gifts and talents, and to improve society as a whole. The vehicle he chose was The Cooper Union for the Advancement of Science and Art, which he founded in 1859.